Last week I was in NY with my grade 12s as part of their grad trip. The first morning we davenned and had a Shiur at YU and the following morning – the same at YCT. The Shiurim and students’ responses were, in my eyes, representative of the growing differences between the two institutions and their influence on North American Jewry. 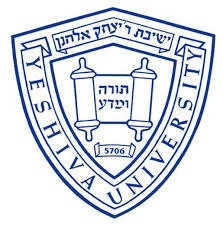 At YU – a Shiur about Tfila. It’s categorization, meaning and effectiveness. The Shiur had all the expected key word: A חילוק of Reb Chaim, The Holocaust, a reference to Rav Soloveichik and mention of The State of Israel. Though wrapped in ethos and pathos and the lack of source sheets, the message was very traditional – our dependency on Hahsem in our private and communal lives and the role Tfila plays in that dependency. At YCT – a Shiur about animal rights in Halacha. The Shiur had all the expected key words: Values, ethics, “Halacha Vs.” and “letter of the law”. 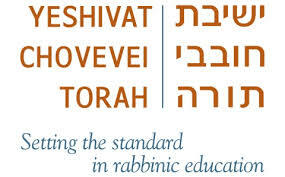 Though it was all based on analyzing traditional texts the message was revolutionary – the possible inconsistency between Halacha and Torah values. None of the students were familiar with the differences between the institutions. Most of them had never even heard of YCT and I didn’t discuss it with them. Their responses were fascinating. All the students thoroughly enjoyed one of the Shiurim and thoroughly did not enjoy the other. It was about a 50-50 split, though, between which they did and did not enjoy. Interesting. Modern Orthodoxy and Religious Zionism are not the same thing. There is a lot of overlap but they are not the same. Modern Orthodoxy, as I understand it (and possibly even practice it), answers the question: “How can I be an Orthodox Jew and also be a Modern person?”, or, in it’s more sophisticated version “How does Modernity and the changes it brings with it impact Orthodoxy?”. Being a Modern Orthodox person means understanding that developments of Modernity can and should impact us as Orthodox people as they too are part of how Hashem “speaks to us”. That means that the shift in the role of women in society should impact Jewish thought and practice. It means that the role academia plays in modern life should impact the way we view general studies. It also means that the development of Zionism and The State of Israel – also products of Modernity – should impact our religious outlook and observance. Modernity and Orthodoxy are separate, dialectical entities, which need to be reconciled and many a time this split manifests itself in a schizophrenic religious identity. This also accounts for Modern Orthodoxy’s continuous decline in the US; it is too indecisive, too contradictory, too unsure of itself as all to often by trying to be “also this and also this” it ends up being not enough of either. Religious Zionism, is not at its core, dialectical. I can best describe it in the first person. I don’t know myself as a Jew without Zionism and I don’t know myself as a Zionist without Judaism. I don’t know myself as a Jew without Zionism, as the return of Am Yisrael to history and the rebirth of the State of Israel serve as one of the foundations of my belief in Hashem and Jewish commitment. I don’t know myself as a Zionist without Judaism, as Torah and 2000 years of Jewish prayer and observance serve as the justification for our return to the land, for what has been – and still needs to be – achieved. The two are so intertwined that they are one in the same and – for me – indistinguishable. The yearning and motivation to return to the Land of our Forefathers, to be sovereign and have a national identity there, are not a product of Modernity, just expedited and executed by it. The relationship between “Religious” and “Zionism”, therefore, is not dialectical rather that of synthesis. They inform, enhance and empower each other as they are one in the same. The Modern Orthodox Jew finds himself torn between two worlds while the Religious Zionist Jew lives in a (philosophical) state of unity. Based on all this, a Modern Orthodox Jew, by definition, would be a Zionist but a Religious Zionist would not necessarily be of a Modern orientation. As stated at the beginning of this post, there is a lot of overlap between the two philosophies. People can comfortably prescribe to both and many do, as they are by no means contradictory. That have been said, understanding the differences between them can explain many of the tensions and issues being debated in the public sphere of these communities both in Israel and North America. I hope to expound on them in a future post.